I had not originally planned to put a lightbar on my Jeep Liberty. 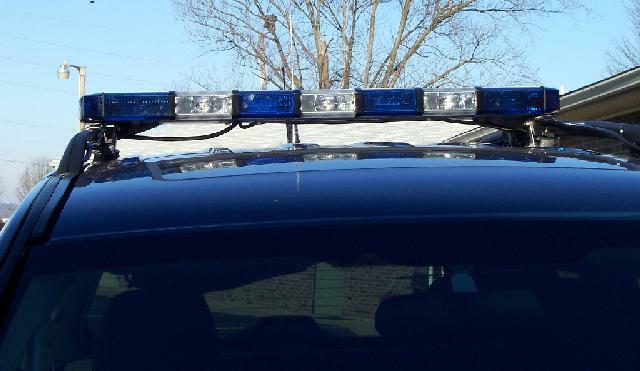 The security vehicles where I work started using the Whelen Patriot strobe bars and I thought it would be a good lightbar for my Liberty since it is low profile. I found the best price at LSH Lights. 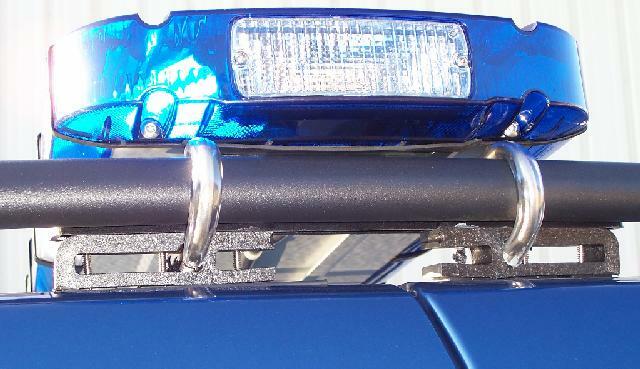 The lightbar is an 44" 8-strobe model. I use the takedown lights for driving lights, so I added the middle light. Click here for some pictures of the lightbar guts. I used some black plastic grating to make spacers for the rubber feet, then attached the lightbar to the roof racks with stainless steel U-bolts. I ran the power and control cables into the roof racks and down under the trim to the engine compartment to a circuit board I made.